With visits to Bhalebas and Kolkal this week, I've now visited all our schools. In doing so I have met many inspiring teachers and some truly amazing children. Bhalebas and Kolkal were no exceptions! The first stop was Bhalebas and I began the day by joining a class 1 lesson. I was completely blown away by the teacher, Shiva. He had attended our primary English training day a few weeks ago and impressed us with his ideas for using resources in lessons. During his English lesson I saw him put in all the effort and imagination he had used during training and the result was a fun lesson for the students that they learnt a lot from. It was great to see a teacher with the dedication to spend time planning and preparing for his lesson and his students will benefit enormously. 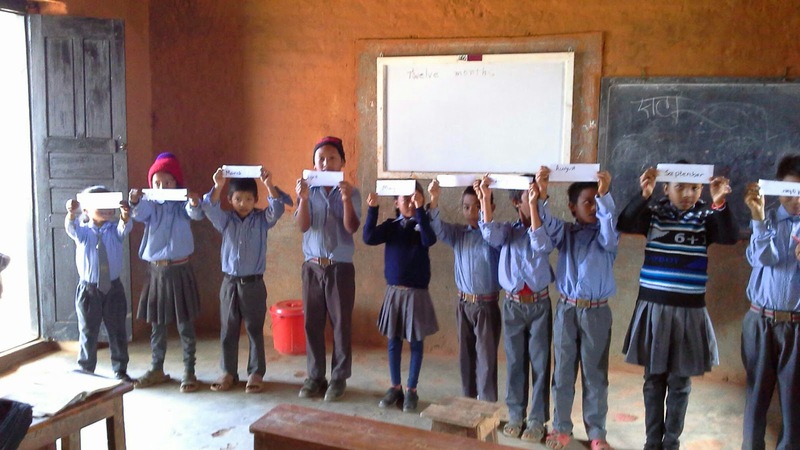 It was also reassuring to know that Manisha's training was taking effect in schools! As well as English I did some work in the ICT suite, using some resources to get students familiar with the purposes of different computer parts and the layout of a keyboard. While teaching an IT lesson to a class of nearly 30 pupils with only 6 computers may sound almost impossible it can be done with a bit of planning and next time I visit we'll experiment with some split classes. 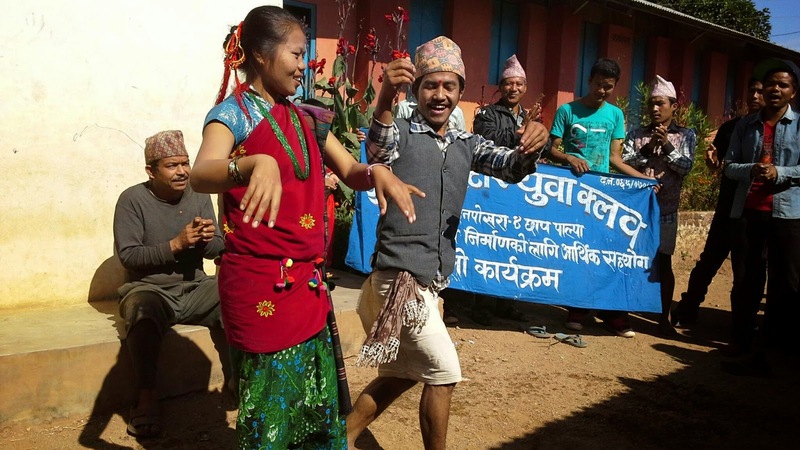 Like so many other villages, Bhalebas really put effort into making sure we didn't get bored in the evening and the evening was filled with some very enthusiastic dancing! This went on until after midnight, which may not sound so late back in the UK but here is easily the equivalent of partying to 4am. Both Barbara and I had a memorable night dancing with lots of locals and plenty of the children from school. The next day we were given a great send off, with gifts and more mala. If I save some seeds I may just open up a botanical garden when I get back to England. 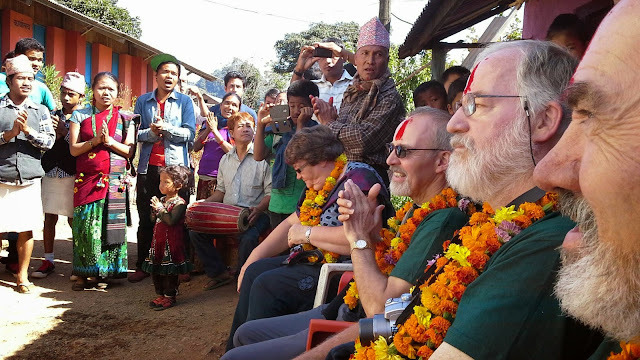 Neither Barbara or myself had visited Kolkal before, which isn't a twinned school yet but they are always enthusiastic at training and certainly benefit from our support. Kolkal must be the smallest of our schools, with only 31 students in classes from nursery to year 3. We were really impressed by the standard of teaching here, especially given the lack of resources. 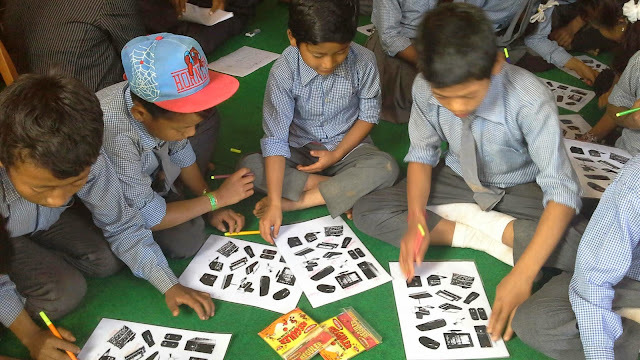 The teachers, and Laxman in particular, showed lots of initiative in use of resources and ideas and the standard of English for the pupils was among the highest I have seen in Nepal. 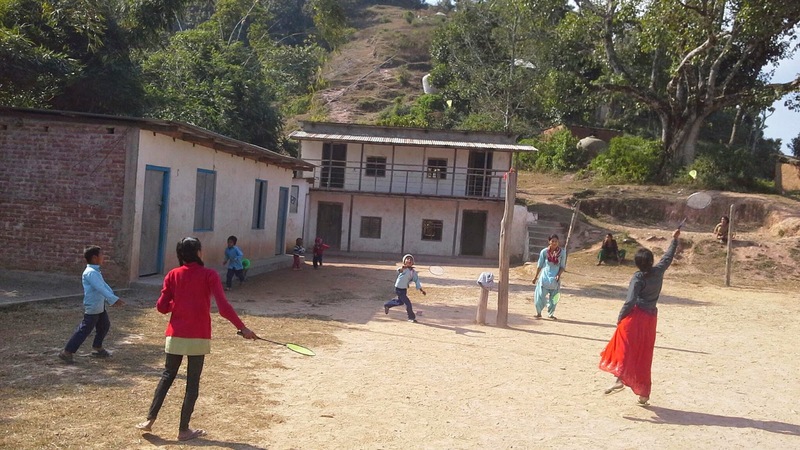 We had taken some sports equipment along and ended up having something of an impromptu sports day on both days of our visit. The children were clearly delighted to be out and active and it was so much fun for us! There was a mixture of badminton, football, Frisbee and some ball games. 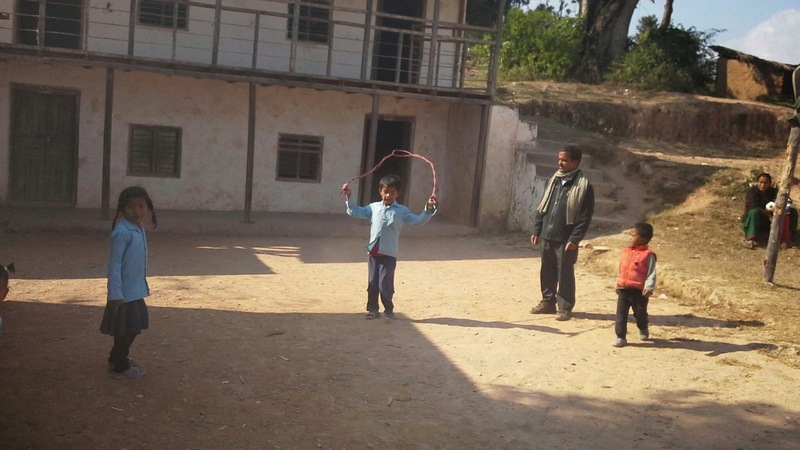 Laxman showed more ingenuity by bringing out a rope and starting a tug of war and we followed that with some skipping. It was a very memorable afternoon for me and a nice way for Barbara to spend her last afternoon in school during this visit. This week I have been to visit Gyandaya school in Okaldunga. This is our most remote school and probably our poorest in terms of finance. Getting there involves a 2 hour motorbike ride (only half of which is on pitch roads) and a 40 minute walk for the last part. Having no access to the village for vehicles is clearly difficult in terms of bringing in materials, communicating with the rest of the world or even obtaining emergency medical care. However, one compensation is the beautiful views of the surronding hills and blissful peace and quiet. There is a new road being built which will make life in the village much easier once completed. I was welcomed very warmly by Manu, the English teacher, and Khum, who's family I stayed with for 4 nights in the village. After a quick lunch and welcome ceremony I was able to straight into teaching. I joined Manu for an English lesson where the topic was computers. The text book was quite horrendously dated, with lots of talk about floppy disks (kids, ask your parents what they are! ), but the biggest problem of teaching this was that not one of the year 10 pupils had ever used a computer. I was able to show them my tablet, so they could at least experience a keyboard to help them relate to the material, but touch screen technology did not feature in the ancient textbook! The pupils in all classes were very quiet during my first day. They are clearly not used to discussion and thinking questions, every time I asked them for an opinion I was met by long blank stares! But I kept persisting and after a few more fun activities the children did warm up to a bit of actual participation in lessons. It is important the teachers at the school keep this up and I have asked them all to ask the children 1 "big question" that requires an opinion in every lesson. If this is followed up I believe it will make a big difference to the children next time I visit. 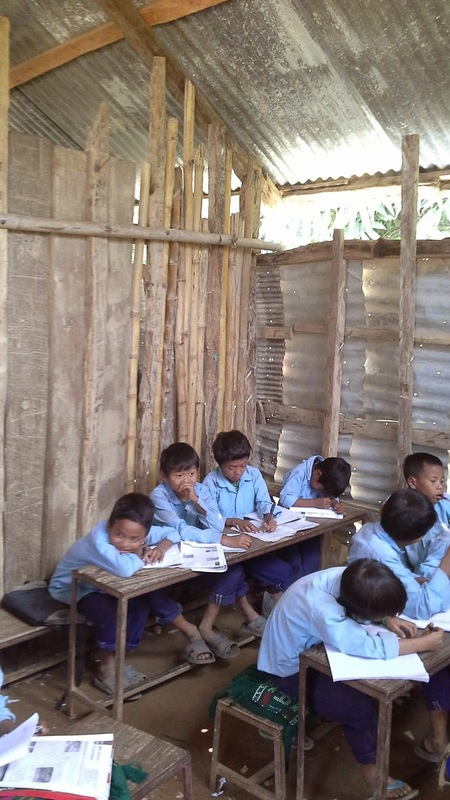 The classrooms for years 2-5 are the poorest I have ever seen and completely unsuitable for teaching. The exterior is made up of corregated iron, which doesn't reach the floor or the roof. The separating walls are made from bamboo, with lots of gaps, and don't come close to the roof. The floors are mud with no covering. Inside the rooms is very noisey and can be really dark. I got the kids outside as much as I could, but clearly this can't be done all the time and school desperately needs new classrooms. They are in the process of building 2 new rooms, but work is currently stalled due to lack of funds. The evenings in Okaldunga were amazing. The big speaker came out every night for an " Okaldung disco ", which meant lots of children (and a few teachers) dragging me up to dance to all manner of Western and local music. The unitended side affect of this was a large 'dance program' during my thank you assembly meaning I had to get up and dance to Justin Bierber with 2 year 5 boys in front of the entire school. Needless to say this gave all the children a very good laugh and is an experience I won't forget any time soon! 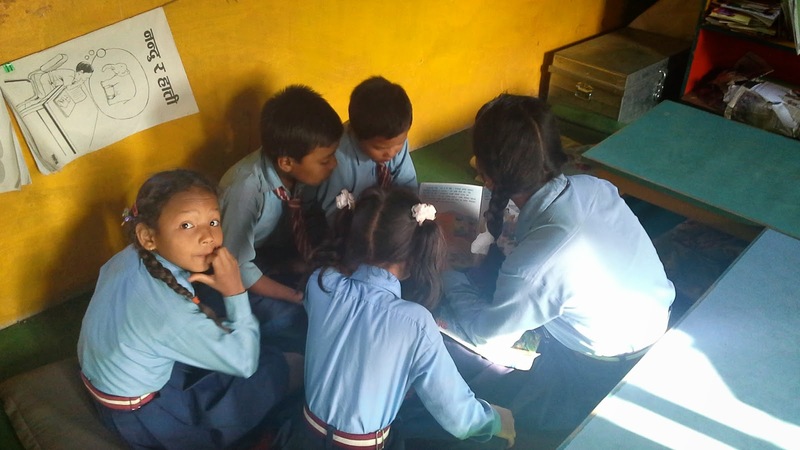 I really enjoyed my time in the village and there is lots of potential for the school to make great strides forward if they follow a few simple bits of advice, most importantly getting the children talking and thinking during lessons! I look forward to returning in a few months and seeing if the advice has been followed. It's been a busy week since my last blog, with visits to three schools and a teacher training day. But every day has been brilliant and as always, all the staff and children we work with have been great! Our first trip of the week was to Mahachap. The welcome we received here was incredible! My face (and shirt and trousers) were covered in tikka, and I believe they must have picked every flower within 5 miles of the school! We had a look at some land the school had previously purchased, believing that they would be able to build on it in the future. While we can't currently help with building we discussed a number of other ways it might get used, including as a extra play area or as allotments for children. Whichever is done, some work will be required and we 'll do our best to support the school in that. 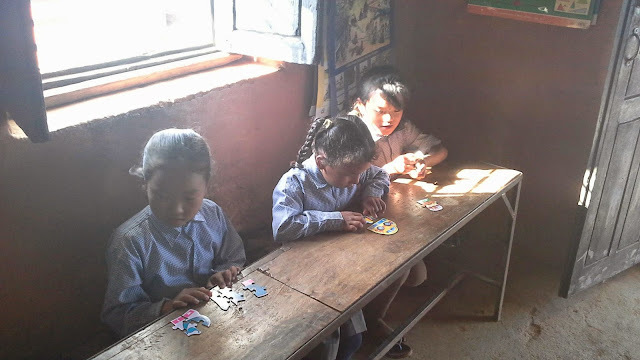 We managed to spend a little time in class, where the children were very shy, but I am determined to make them a little more lively when I return! 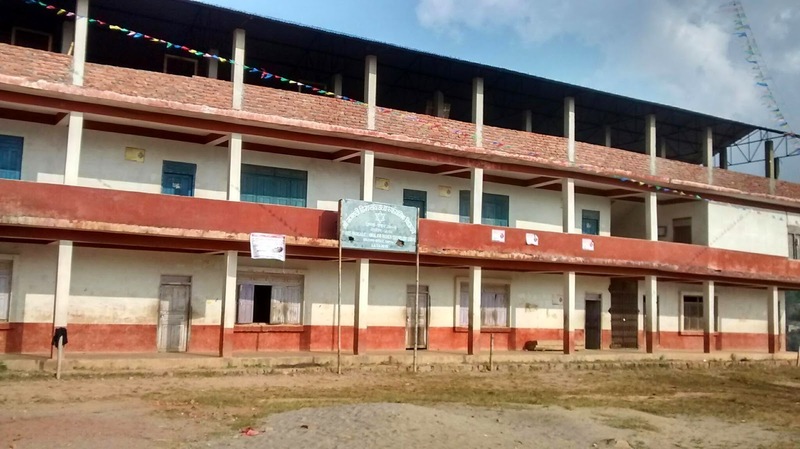 Our next visit was to Jandeep school in Dumre, which will be our newest twinned school very soon. We had two wonderful days there working (and singing a lot) with a number of classes. I spent a lot of time with a very enthusiastic class 3 who got into all the activities and songs with very little shyness. 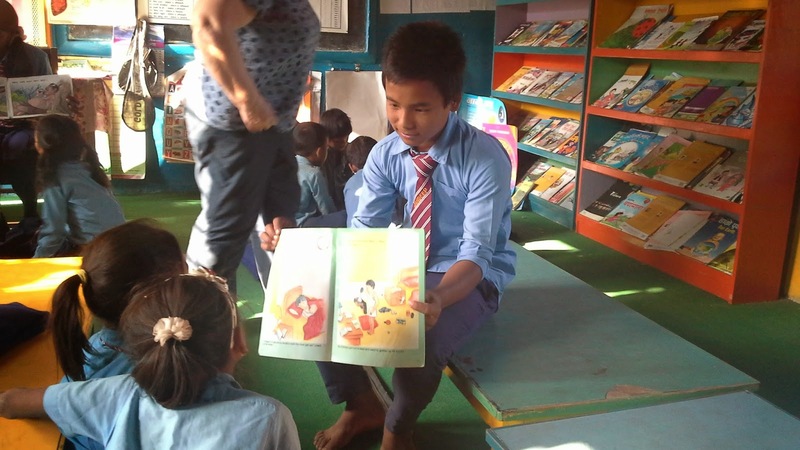 The highlight was getting some children into the library and having year 9 pupils read with small groups from year 3. The staff seemed very enthusiastic about following this up so hopefully we'll see them doing in more in the future. 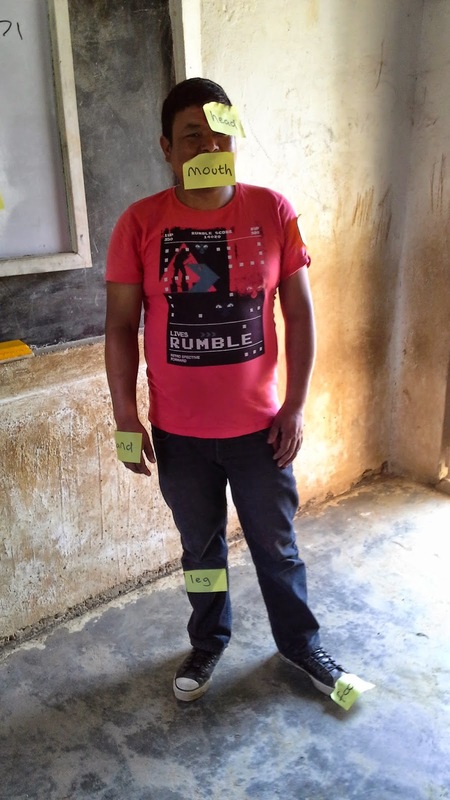 Saran added to his role as coordinator, translator, driver, project manager and general 'sorter outer' by becoming a teaching assistant and model, covered by children in post-it notes showing body parts. The final school visit of the week was back to Pipaldanda, to meet with labourers and villagers about the ongoing building project. We were amazed at the amount of work completed since our last trip to the school. The atmosphere was really positive and we hope the work will be completed early next year. Saran is now even busier, collecting quotes and estimates for railings, paint, furniture and 101 other things! We rounded of the week with our second teacher training session, for primary English. This time I was able to take a lead role, and once the nerves wore off I really enjoyed it! We talked a lot about getting the most out of what resources we have, and I'm looking forward to seeing teachers following through in schook over the coming weeks. As last time, the teachers were really keen to take ideas on board. It was a very hands on day, with lots of presentations and teaching by the attendees and I was delighted with the way they threw themselves into it. I'm now in our most remote village, the stunningly beautiful Okaldunga, while Barbara has returned to Mahachap. Plenty more about that next time. Last week we were fortunate enough to be visited by former NUT executive John Holmes, and his two brothers in law, Paul and Howard, who were all keen to see our project. 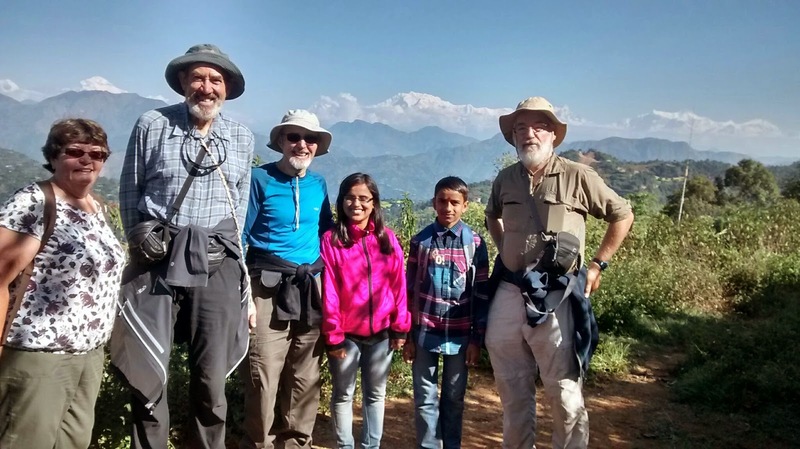 They had been walking the Annapurna circuit in memory of John’s daughter Phillipa and raising money for CRY (cardiac risk in the young) and the Steve Sinnott Foundation, who are a partner of Manisha UK. They arrived on Tihar, the major festival day here, which meant transport was a bit tricky, as was finding meals and a hotel. 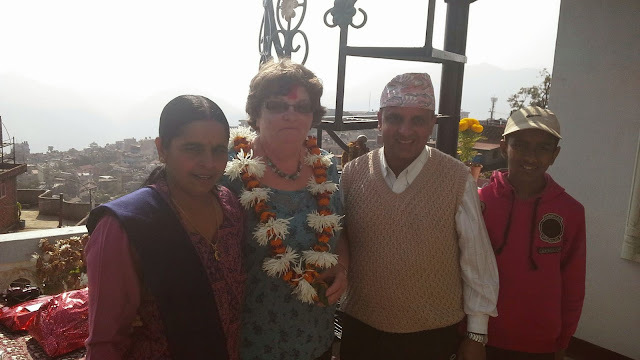 They were able to spend some time in our homestay and celebrate Tihar with the (extended) Bashyal family, an experience we all really enjoyed. Although it was still a holiday for the children, the following day we want to Bhalebas for a tour of the school. We were amazed to see what appeared to be the entire village waiting to welcome us, who covered us all in garlands of flowers and then treated us to some traditional dancing. Audience participation was mandatory, and I will get those videos up on youtube eventually John! After this we had a tour of the school, both the older classrooms in desperate need of improvement and those that have already been turned into good learning environments. A taste of the head teacher’s home grown coffee, and of course a glass of raksi, completed a fantastic day in the village. Although John, Howard and Paul had to leave at lunch time the next day, we still had time for a short trip to Bagnas school, this time complete with children. 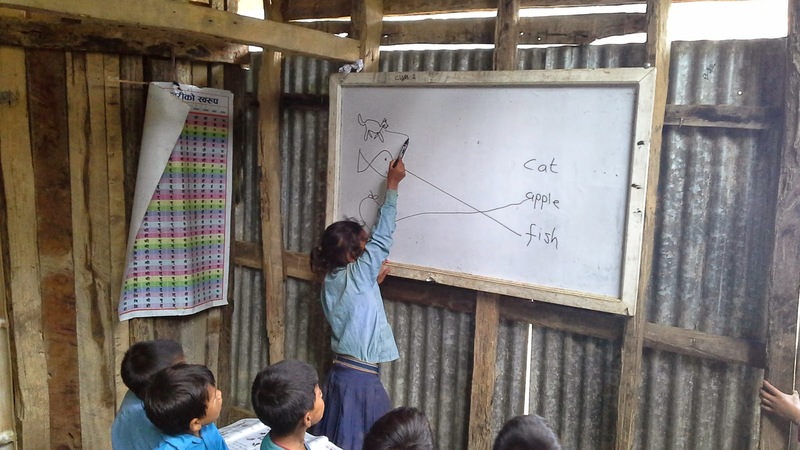 Here and they were able to see some Nepali teachers in action, and watch Barbara’s best animal impressions! To cap all this off, we were treated to the best view of the Himalayan range we’ve had since my arrival here during the walk to school. 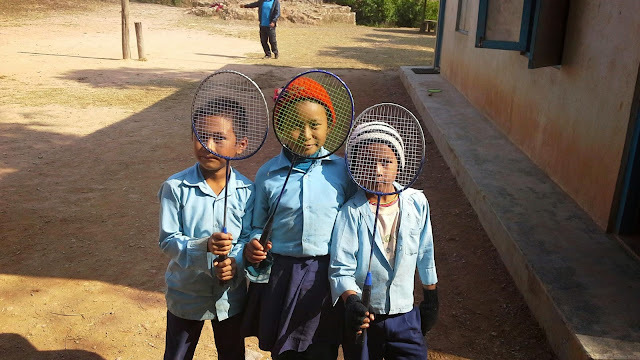 This week we made the trip to our furthest school in Batase, Gorkha district. This was an interesting journey to say the least! 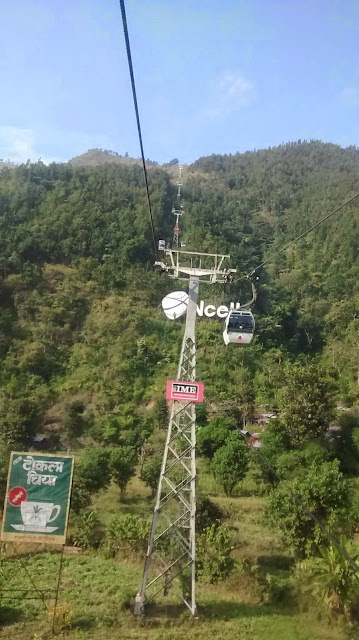 We took an early bus from Tansen to Butwal (2 hours), a second bus from Butwal to Manakamana (3 hours) and then a cable car (which had Barbara shaking and rather pale for some time!) We had to spend the night in Manakamana and found a delightful little hotel, with fish bones on the floor, a rat running around the kitchen and ants to share the shower with. Needless to say I was not sorry to leave in the morning, but before arriving in Batase the final part of the journey would be a 2 and a half hour off road Jeep ride, with not a single bit of pitch road the entire way. We did eventually make it to Batase, and once there it really is a beautiful village. 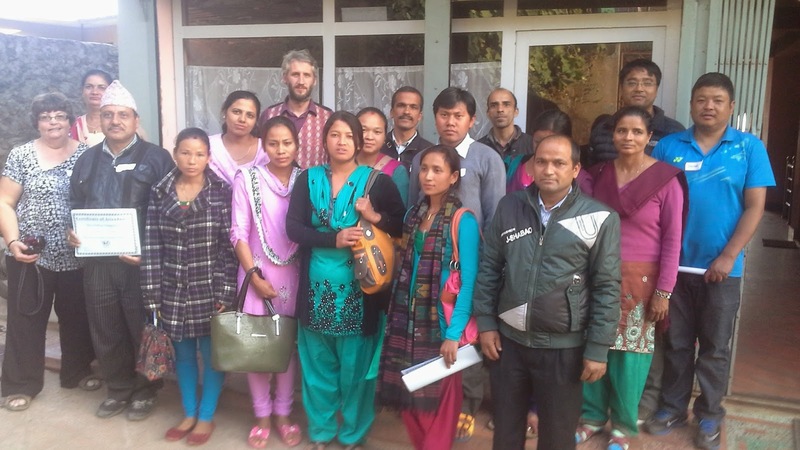 We stayed with Mr Shrestha, a teacher at the school, and were made very welcome by him and his family. (His granddaughter was a little shy at first, but bringing the balloons out again helped her to overcome this quickly!) The day we arrived was, unfortunately, yet another public holiday, so school was closed. However we were able to look around the site and a number of classrooms. The new roof, which had to be replaced after storm damage, is looking fantastic and very secure. They have also added proper steps to the second floor and blocked off the old way of getting across, which involved planks of wood balanced on chairs and wasn’t particularly safe! There are new classrooms for the +2 classes (roughly equivalent to 6th form in the UK) and we learned the school is also hoping to offer BA courses soon. The following day we were finally able to do some teaching, which was great fun as always! We worked with a number of classes both in primary, secondary and +2s. My personal highlight was using the number mats with nursery class and having them to the number called, which the children loved. We saw positive signs that the teacher will continue trying to use this type of activity and move away from learning to count by endless repetition. This just left the journey back, 3 buses to Pokhara, another overnight stay (this time in a truly lovely homestay), and some resources shopping before the final bus back to Tansen. We have a few short visits planned for the week ahead, and will finish the week with our second teacher training day, this time for primary English teachers.